Today morning, Sheikh Hamdan Bin Rashid Al Maktoum Award for Medical Sciences launched its awareness campaign on Rare Diseases. In conjunction with the Rare Disease Day, this year’s awareness campaign is held under the slogan "Join Us in Making the Voice of Rare Disease heard ". Abdullah bin Souqat, a member of the Board of Trustees and Executive Director of Hamdan Medical Award, said: “The 1st stage of the awareness campaign is the lectures scheduled to be held all over the emirates during this week. These lectures are delivered to the students of secondary schools and universities, because of their age and knowledge which qualifies them to get the aspired benefit”. 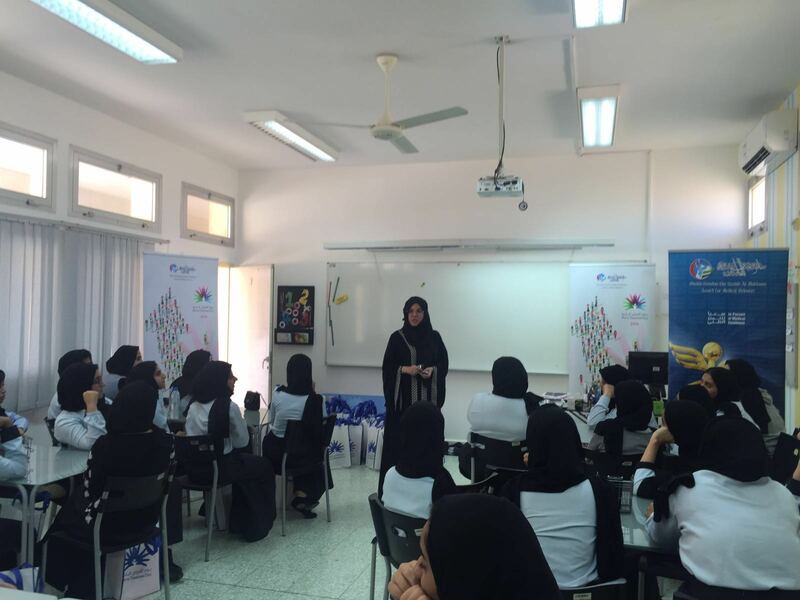 “Today 3 lectures were held in Abu Dhabi and Ras Al Khaimah, specifically at Ras Al Khaimah Boy’s School for Education, Julphar Secondary Education School (Girls), and Khalifa University of Science Technology and Research. They were delivered by Dr. Fatma Bastaki, Consultant Pediatrician and Clinical Geneticist, and Dr. Fatma Al Jasmi, Associate Professor, Metabolic Consultant at Tawam hospital”, he said. “Within the framework of the Award’s keenness on reaching the largest possible numbers of students, the campaign will move tomorrow to the Emirate of Fujairah, specifically at Merbeh Secondary school (girls), and Saif bin Hamad Al Sharqi secondarySchool (boys). Additionally, a number of lectures will be held during this week at Zayed University (Girls), Dubai, and at the UAE University (boys and girls), and the Applied Technology High School & Secondary Technical School ((boys and girls), in Al Ain”, Abdullah bin Souqat said. For her part, Dr. Fatima Al Jasmi, Associate Professor, Metabolic Consultant at Tawam Hospital, highlighted the discussed topics of her lectures. She spoke about the meaning of Rare Diseases which affect less than one in 2000. “80% of Rare Diseases are genetic in origins, and 50% of them affect children”, she said. “I discussed the major problems associated with the scarcity of these kinds of diseases, especially their diagnosis. Sometimes, patients with Rare Diseases visit 6 to 13 physicians for the definitive diagnosis. Also, 1 in 7 patients with Rare Diseases remained undiagnosed for more than 6 years. The symptoms of rare diseases differ not only from disease to disease, but also from patient to patient suffering from the same disease”, she added. “Keeping up with the preventive ways of rare diseases is a must, such as the newborn screening, premarital screening, prenatal screening and pre-implantation genetic diagnosis.